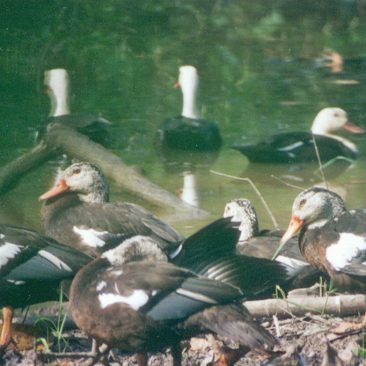 The White-Winged Duck (Cairina scutulata) is a secretive, rare inhabitant of tropical lowland forests in Southeast Asia. This duck once was widespread throughout Southeast Asia, including India, Bangladesh, Myanmar, Thailand, PDR Laos, Cambodia, Vietnam, Malaysia, and Indonesia. In the past fifty years, massive destruction and fragmentation of the species’ forest habitat and intense hunting pressure has caused a drastic reduction of duck numbers. The current world population in the wild is approximately 300-1000 individuals, possibly less than 5% of the original population. 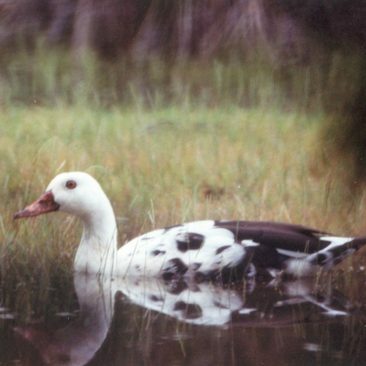 Biologists know virtually nothing about the biology of the White-Winged Duck in the wild. Until this project, no one had the time or funding to spend months in the forest to develop appropriate research techniques and gather basic biological data. Lack of information on such topics as habitat preferences, distribution, breeding biology, dispersal, and causes of mortality have impeded efforts to protect the species. 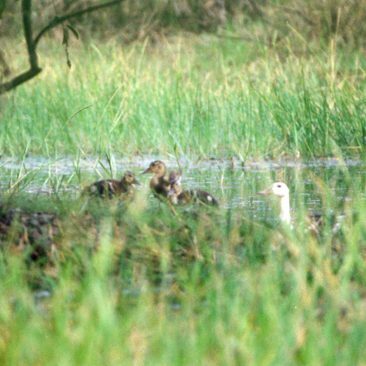 Therefore, the primary objective of this project was to collect data that will contribute to the conservation and recovery of the White-Winged Duck. The main question was: What limits White-Winged Duck populations in the wild? 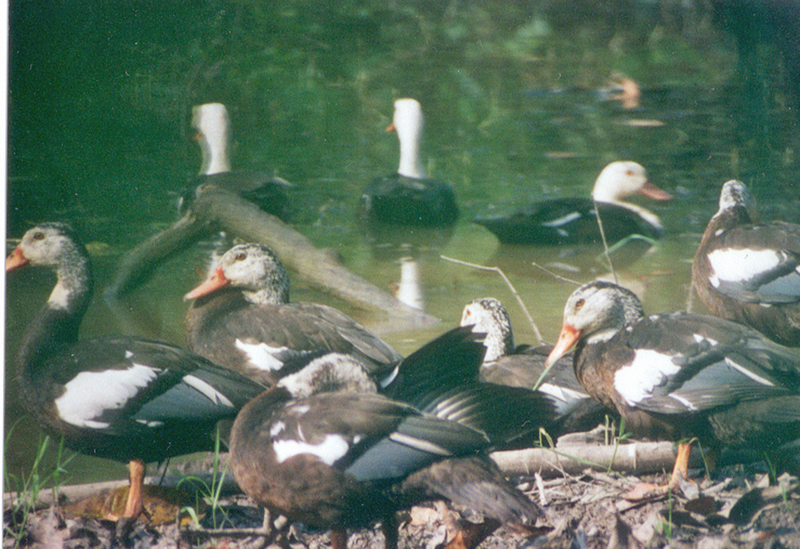 Thus, field research was focused on collecting basic data on the breeding biology, habitat use, adult and juvenile survival, and dispersal of wild White-Winged Ducks. This information then can be used by conservationists to develop management recommendations and by policy-makers to help guide their decisions. 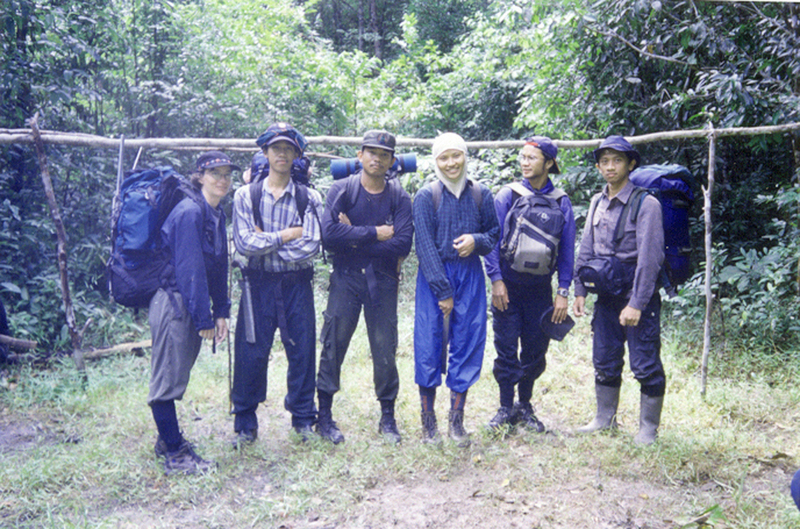 This research was in collaboration with Indonesian researchers and it involved training Indonesian students in environmental field research techniques. The breeding season in all years began in December. In 1999, nesting and brood rearing extended from early February to October; in 2000, from late January to August; and in 2001, from mid-January to June. We observed mating behavior in December, and females exploring potential nest sites in tree cavities in December and March. We found one active nest located in a large cavity 13 meters high in the trunk of a Gluta rengas tree. The nest was destroyed by an unknown predator around three weeks into incubation. Usually, the female takes care of the ducklings, but often the male or other females will help. 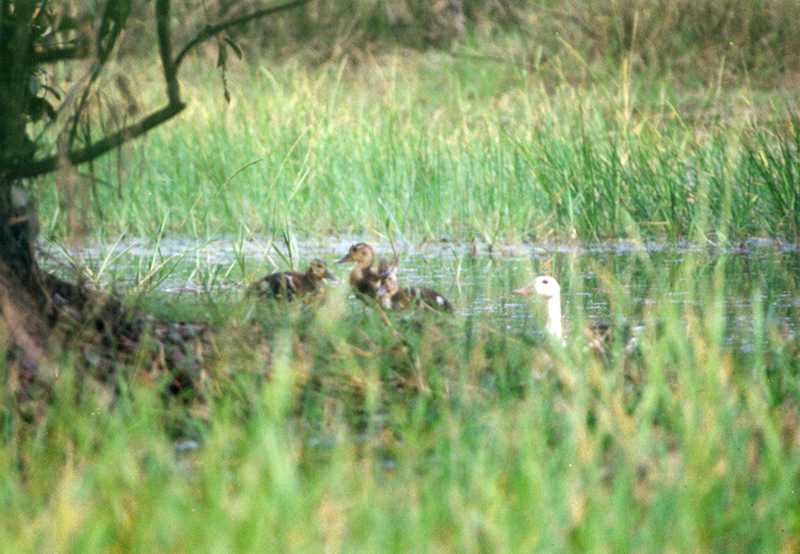 Broods spend daytime in swamp forest and often move to open water areas to sleep at night. The overall home range of one brood over 12 weeks was 123.5 hectares. At least some adult ducks undergo a complete wing molt at the end of the breeding season (June-July). Both ducklings and adult birds are most active (moving about and feeding in open areas) at dawn and dusk. These birds spend the day in the swamp forest, feeding and resting in trees or on logs in the water. 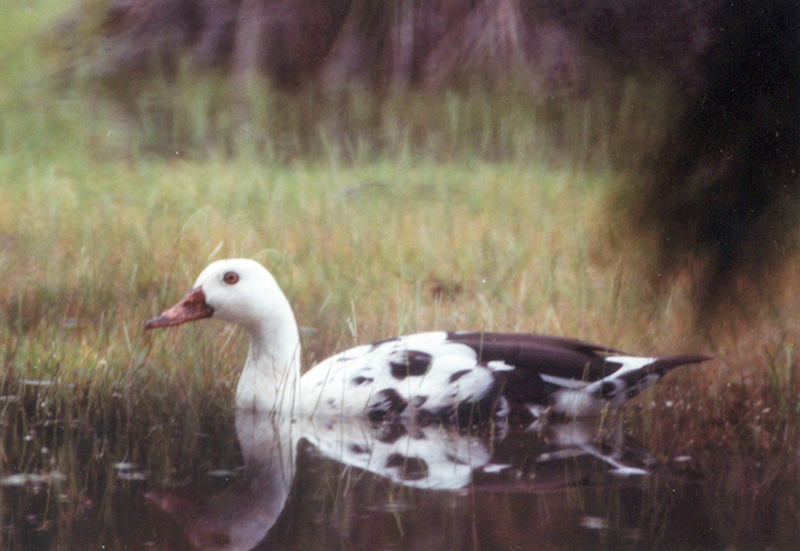 White-Winged Ducks prefer very shallow water, usually less than one meter deep, for swimming and feeding. When they perch in trees, these birds require a thick, horizontal branch. However, they show no preferences for certain tree species or for live trees versus dead snags. Birds either sleep in trees or on the ground on the shore of open water ponds. We captured ten ducks and attached necklace-style radio transmitters to monitor their movements. The overall home range size of breeding females was 122-142 hectares. One non-breeding female had a home range size (252 hectares) similar to that of males (230-284 hectares). The range from which a radio transmitter could be heard varied from 300-2000 meters, depending on habitat.